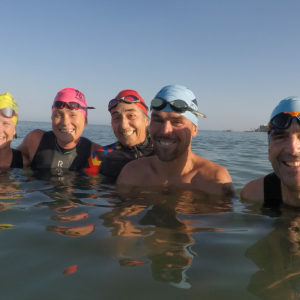 Join Naples Area Triathletes at Vanderbilt beach for an open water swim. This great friendly group meets on the beach at the entrance to the beach. You can’t miss the group; they are the ones with all of the swim gear. This swim is open to all levels of swimmers. The group heads north to the La Playa hotel. They will wait for everyone to get to that point before returning. The swim distance is approximately one mile. You can swim one way if you like. We are in shallow water, and you can exit anytime. For updated announcements about water and weather conditions, check out their Facebook page.